Your HVAC systems are an integral part of your home, and when they’re not working properly, it’s essential to have a service company that you can trust. 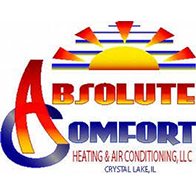 At Absolute Comfort, our HVAC repair experts can take on any problem, and they’ll always treat you and your home with professional courtesy and respect. We’re proud to serve the Lake in the Hills community, and you can count on us to fix your heating and cooling systems! The best way to keep your furnace or air conditioner running smoothly is through regular maintenance and upkeep. Changing the filter is a good start, but having a professional look at the inner workings can help ensure that no worn or broken parts are left unattended. By having an expert technician look at your heating and cooling systems each year, you can prolong their lifespan and keep your home comfortable all year-round. We all know that having your A/C go out in the middle of July or your furnace quit in the middle of January is never a good thing, and that’s why we offer emergency HVAC service 24 hours a day. If your heat shuts off in the middle of the night, we’ll be there to fix it right away. 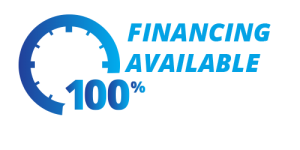 If your A/C can’t keep up with the triple digit temperatures, we can come to your home, diagnose the problem, and have things fixed in no time at all. No homeowner wants to deal with constant HVAC repair issues, and if your system is struggling to keep up, or it won’t turn on at all, give us a call at (815) 201-1144, or fill out the form below. We’ve served Lake in the Hills for many years, and we’ll be there to take care of any heating or cooling problem you experience.